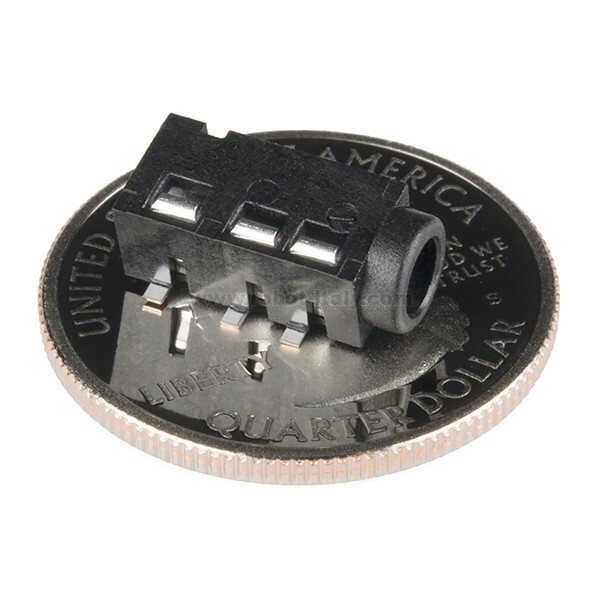 This is a 3.5mm TRRS SMD audio jack. TRRS connectors are the audio-style connectors that you see on some phones, MP3 players and development boards. 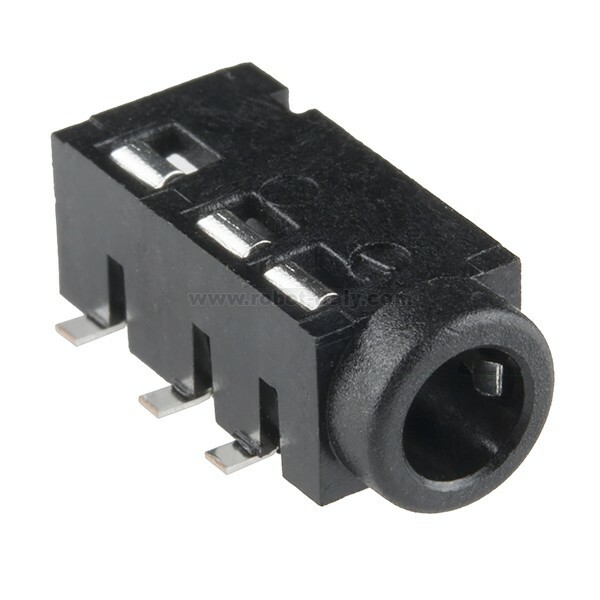 This is a 3.5mm TRRS SMD audio jack. TRRS connectors are the audio-style connectors that you see on some phones, MP3 players and development boards. TRRS stands for “tip, ring, ring, sleeve,” which reflects the fact that, unlike a standard stereo connector, this actually has three conductors and a ground. Some devices use the extra conductor for a microphone (like hands-free headsets) or to carry a video signal (like in some MP3/MP4 players). Make your next audio input/output project in a box with this handy Panel Mount Stereo Audio Extension Cable - 1/8" / 3.5mm.